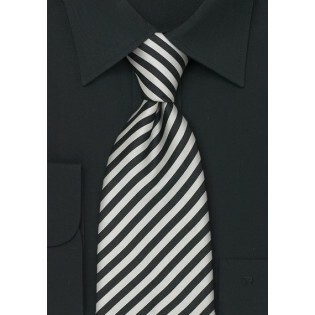 A classic yet trendy striped tie in charcoal gray and bright white. This tie is the perfect choice for the modern man seeking elegance and style. 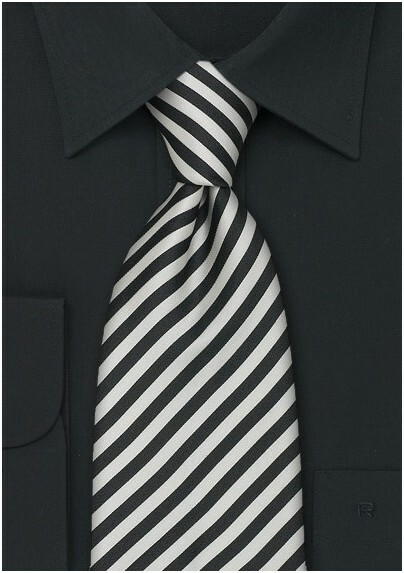 To match this tie we suggest suits in gray, charcoal, or black, and shirts in either solid white or stylish black. This narrow striped design is part of Parsley's narrow stripe tie collection and is also available in almost a dozen other two-tone colors combinations. Each tie is handcrafted from finest silk with much attention to detail.